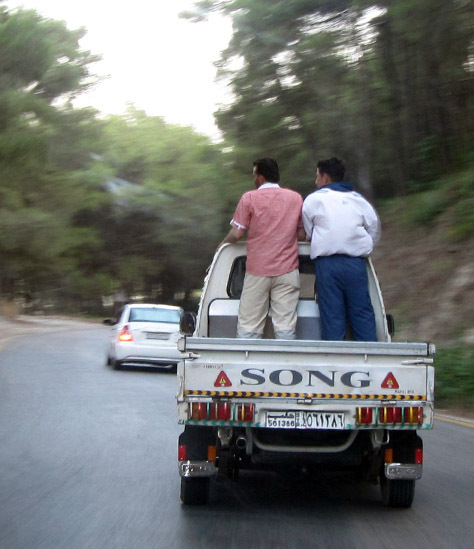 During my recent trip to Syria this summer, I was reminded about the new strict driving laws passed. These include excessive speeding, wearing seat belts and not talking on a cell phone. These are noble and fine rules to pass with the goal of protecting and saving lives. While driving without a safety belt is fraught with risk, sitting at the back of an open Suzuki totally unprotected seems even more risky. Yet, as far as I could tell, there was no law against that. As the pictures below show, one is regularly struck by the sight of vehicles driven by a seat belted driver carrying scores of children and women at the back of open vehicles with zero protection. Indeed, one would argue that the police ought to view such incidents with much more alarm than a taxi driver without a seat belt during Damascus rush hour. 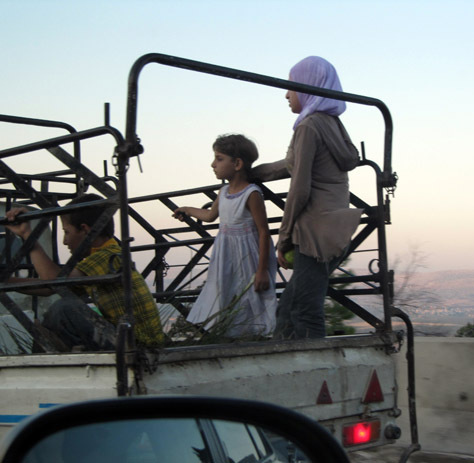 Incidentally, the pictures were taken while I was traveling on the ever so dangerous Kassab to Aleppo route. One strong break by one of these drivers could have seen these passengers at the back land on either the curvy roads or even the connecting highway. Given the goal of safety and saving lives, shouldn’t the new traffic laws extend to the risky practice of sitting at the back of such vehicles too? 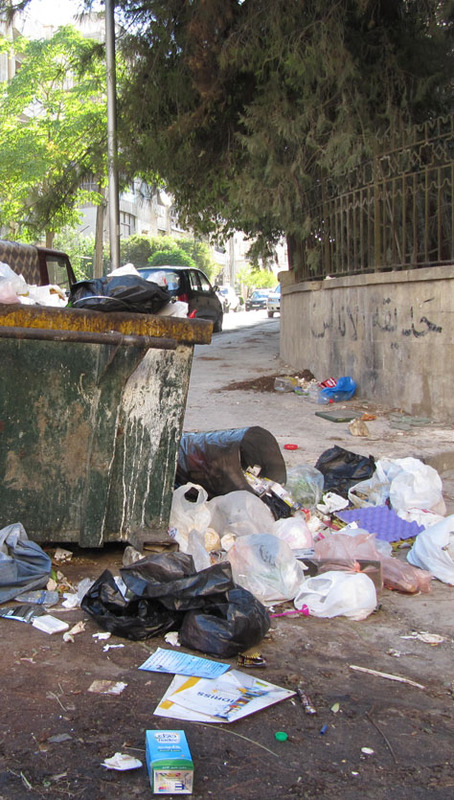 The municipality of the city of Aleppo faces a daunting task when it comes to garbage collection from the ever expanding city. The pictures below were taken from a rather upscale neighborhood. As residents of the city can confirm, this problem is rather widespread. For a country whose population may hit 45 million in 2023 and 90 million by 2055 according to its own Prime Minister, the issue of garbage disposal from the open streets must be an urgent item on the agenda of local municipalities if not the Government itself. At the moment, residents simply place their garbage outside their buildings around midnight. By the time the municipality workers show up around 6:00 am, every cat and stray dog has had a chance to peek inside these bags spilling most of its contents on the open streets. Some of the street corners have these metal containers shown in the picture. Residents are supposed to place their bags in them. Not everyone does and those that do fail to tie the bags well enough to avoid spillage. What you end with is a pile of garbage inside and outside the containers as the pictures show. Another feature of these containers is the unseemly picture of men and children sorting out the garbage looking for items they could sell. This is an urgent issue that requires an immediate and comprehensive long term solution. Syria’s big cities are facing an onslaught from the surrounding countryside. Their populations are growing even faster than the national rate as a result. Unless something is done, these amazingly historical cities face further decay if not ruin. Cities are public and complicated organisms, they are our future urban house, where all of us will end up living in few decades from now, today more than half of the human are living in cities, little less than 4 billion. Cities are the hubs of ideas, freedom and creativities, they transform everything and affect everything from economy, ecology, politics and social relations. They may become bad or good examples, and that depends on who is ‘using’ them and how. Our cities are a reflection of who we are and an indication of our future; a garbage bin, as the picture you showed, or a healthy clean and culturally vibrant ‘creature’, we, who live in those cities, have the answer for that, nobody else. The good thing is that we can choose and decide ahead how we want it to be. – Build the sense of community in our neighbourhood; nobody cares about the neighbourhood more than those who live in it………..
Our Syrian cities are great canvas to work on, they have lots of potential small-medium scale urban/environmental projects all over, but unfortunately nobody, even municipalities, are seeing those opportunities, they keep throwing money over projects that doesn’t have good sustainability over time. It is sad that we have few of the oldest cities in the world and we still have the oldest brains in the world working hard on keeping them in bad shape. P.S. Those Suzuki pictures are very sad, I felt terribly sad for the kids and the other two guys standing, that is inhumane and very wrong. Women and children don’t feature highly as requiring protection in Arab society. 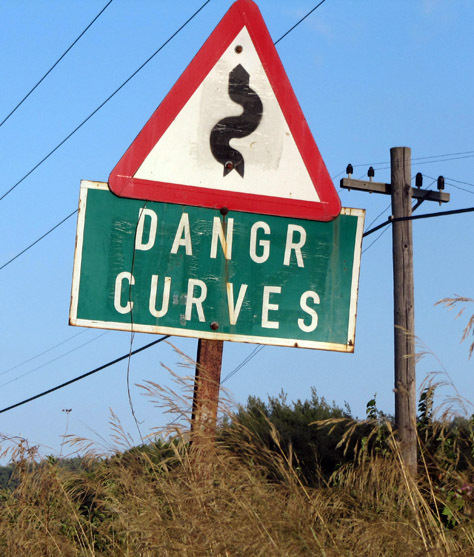 That road safety legislation protects drivers (men) and not passengers (women and children) is typical of the backward attitudes to women and children in Arab society. Been to Syria lately and totally agree with Ehsani’s observations. Driving in Aleppo’s streets is a surreal experience. You feel as if all the cars are about to smash each other into a gigantic pile-up. Also, the problem with the garbage is partially the residents responsibility; many of them dispose of theirs at the closest convenient place. That’s nonsense! The population will not more than double in 14 years. In 2007 a UN report indicates a popoulation in Syria of 34 million, in 2050! Now, that would be the middle scenario. The birthrate will continue to fall in Syria. 30 years ago it stood at something like 7,5 children/woman. Today it is around 3,5 children/woman. Of course, ever lower birthrates is itself an indication of a society in transition, ever so ripe for revolution. Now for the cynical me: If the PM wants 45 million by 2023 he better do somethin’ about the deaths in traffic. Thousands dying each year will not do anything to help population growth. Ehsani, I agree, without forgetting the ugly plastic bags endlessly decorating the sides of every single road in Syria. Now in Canada and in France most supermarkets will charge you if you need a plastic bag to carry your stuff. Maybe such a habit would decrease the use of plastic bags and rather oblige the consumer to switch to recyclable paper bags. Protest is back in Iran, even with government play of the protester and organized protest; Universities are almost close on the Islamic revolution anniversary. Today, antigovernment protesters and security forces clashed on the 30th anniversary of the takeover of the U.S. Embassy by radical students. Renewed protest in Iran and tweeting is active and generation X in Syria are taking notice, what they want is more reform and CHANGE. Iran is becoming more and more a role model for the Arab States and FM of Syria has been welcomed by protesters from opposition, I hope he will get the message and ask his boss to take notice what is going on. Yearning for change and true democracy is growing and Iran is leading the way. It seems that Ahmadinajad is doomed to go. For whatever it’s worth, I hope you’re right. Just MHO, but the ME needs to catch up with the rest of the world in terms of civil rights, productivity, and freedom. I only wish them the best. Meanwhile, the Iranian government has been caught red-handed (again) for supplying terrorists with hundreds of tons of missiles and weaponry again UNSC resolutions. Wonder what Mr. Goldstone has to say about that. The faster this Iranian government goes, the better-off the world will be. Your observations are overlooking some critical points. First, there was a law passed to forbid the seating of passengers in the back of trucks. However, it is not enforced because it happens to be the only type of car that many families can afford. If a law is passed, should all these urban and impoverished families go out and buy new cars? Second, those same families are often quite large, and this is how they accommodate all the family members. You are lying and deceiving again,infact you are the worst deceiver ever. Lying and deceiving about what? The news articles are saying the arms shipment is about 500 tons or about 10 times greater than the Karin A cache. 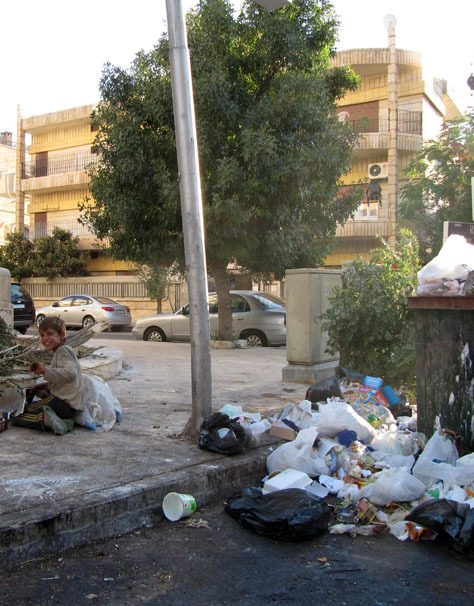 The only way to solve the garbage problem is to divide each city into town and have a Mayer , city council responsible for taking care of the cervices in these towns , I am familiar with Homs , there are areas which can be counted as towns , Bab Sibai, Hamideah , Mahata , Enshaat and Bab Drabe , and the people and their reps should be responsible to keep the town clean , they can even compete for the best clean place . smaller houses are easier to keep clean than big cities . It is not enough, there must be a government-lead media campaign to show the people that throwing garbage anywhere on the street is a lack of respect to the community and a health hazard. If steps are taken to prevent smoking in public places, I expect similar steps in the field of garbage and plastic bags. I agree and should also be Fees for trashing the street and fines , but the town council should see that collecting the Garbage once or twice a week is not enough and work on making it three defined times , so people can put their garbage the night before not the week before , having garbage in the collecting boxes long invite the dogs , the cats and the poor to miss them up.